The route extends 18.3 miles between the University St. exit on I-5 in downtown Seattle and the Redmond Way exit on SR 520 in Redmond. 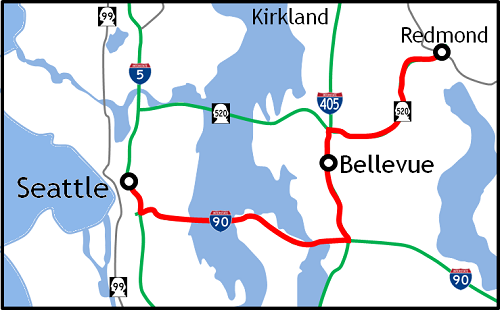 Other routes include using the SR 520 bridge from Seattle to Redmond. View the tolling schedule for SR 520.